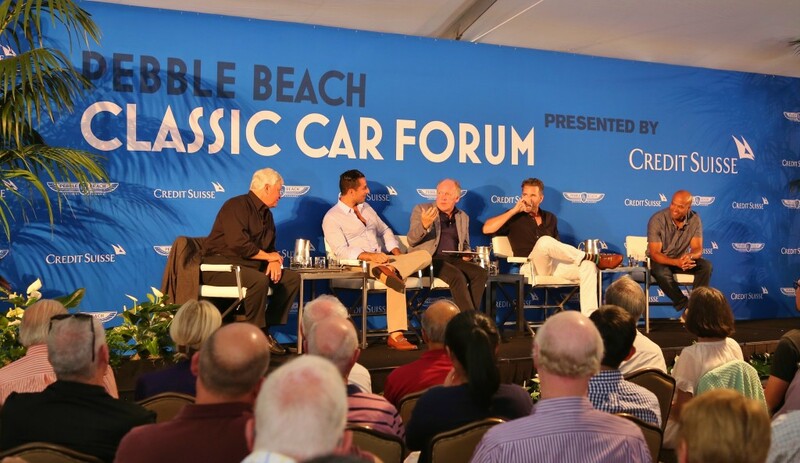 “The Callum Brothers Talk Cars with Industry Icons” at the Pebble Beach Classic Car Forum was a big check mark on the Monterey Car Week itinerary. Who would pass up the chance to see two icons of automotive design, both Ian and Moray Callum in the same room? As fate would have it, Moray was not available. 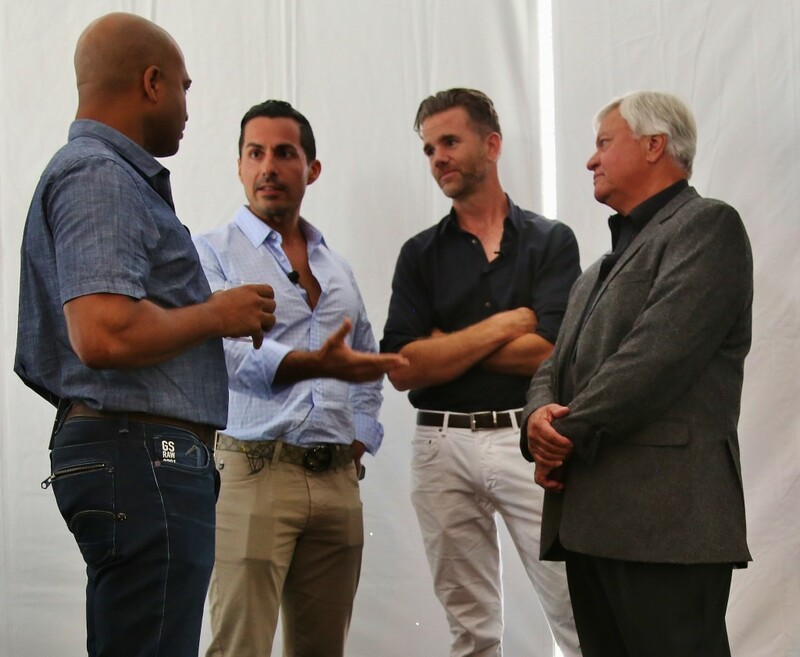 However, the audience received amazing insight into the design world of international car companies through the uncensored conversations of five designers responsible for some of the most popular vehicles in the world. 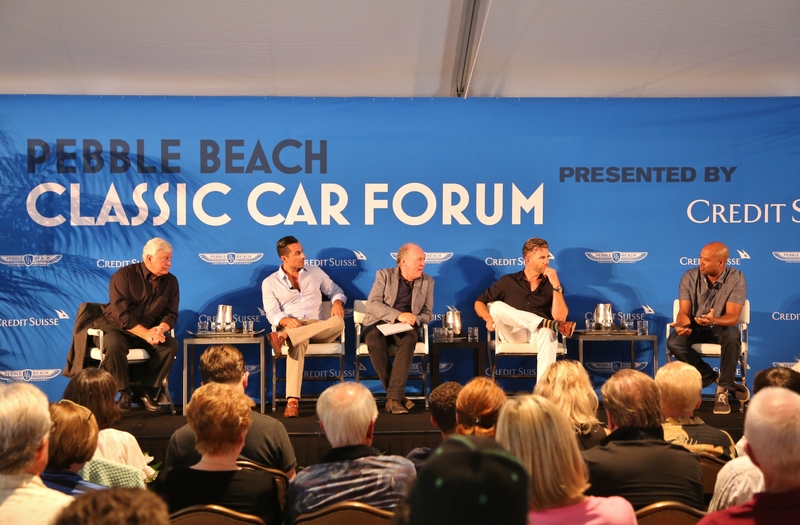 The first topic of discussion naturally drifted toward the common design inspiration all the panelists shared… automobiles from the past. For Jaguar director of design Ian Callum, it was the short wheelbase 1960’s 250 Ferrari. In his words, “Animalistic, Natural Pounce, Sheer Presence and Confidence. 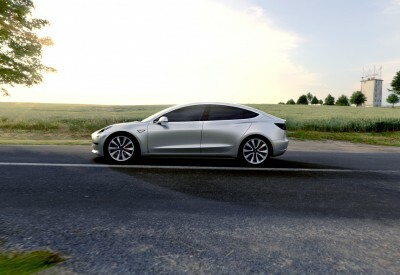 Ironically, Franz von Holzhausen, Tesla design VP picked the same model. Tom Gale, retired Chrysler VP of design who grew up in Flint, Michigan said, “The 60’s forms were beautiful.” He had a ’66 Riviera. For ex-GM/Saab/Mazda design maven Jason Castriota, it was all about the cars of the 60’s and 70’s. Callum, in the role of moderator, continued the discussion by talking about the designers’ overall role in the production of a vehicle and how “Design” has now become so much more a part of the business model for most new introductions. 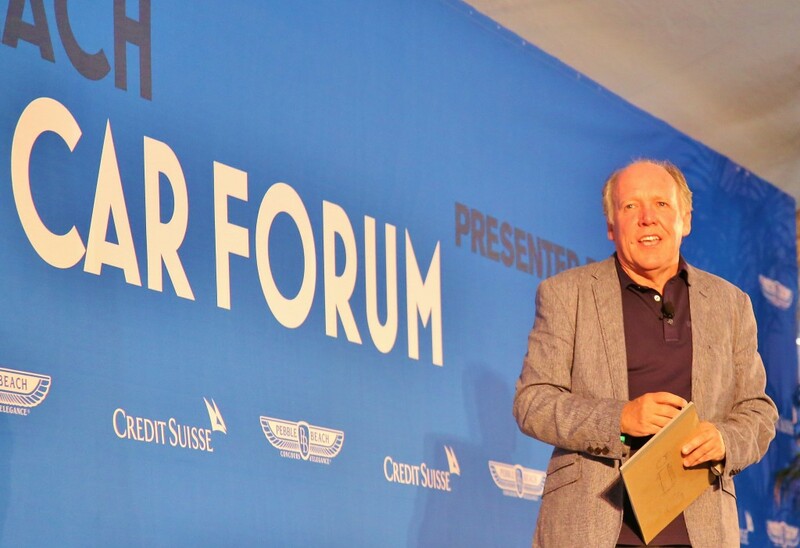 Retired VP of design for Chrysler Tom Gale agreed and elaborated by stating that he thinks it is the designers’ duty to aggressively make suggestions in the marketing of a new vehicle through their design efforts. 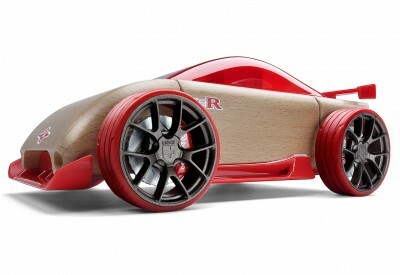 His experience dictates that they incorporate those designs into every aspect of the vehicle including appealing to the appropriate age group, promoting safety advances, ensuring that connectivity is actively featured and that the product fits the consumer’s needs. Another design element that came up was about the worldwide shift to smaller vehicles and the challenges that designers face in exterior and interior treatments as well as small engine design and how they affect the way in which those car designs work. The consensus was, there is even more pressure on the designers to tell the manufacturers which way to go instead of the other way around. Tom Gale observed that this is becoming even more of a reality now that the US is moving more swiftly in the small-vehicle direction. Ian agreed and stated with inside knowledge that even Ford Corporate’s world has changed drastically just in the last four to five years. In his perception, the auto industry is affecting more radical change than any other industry in the world. 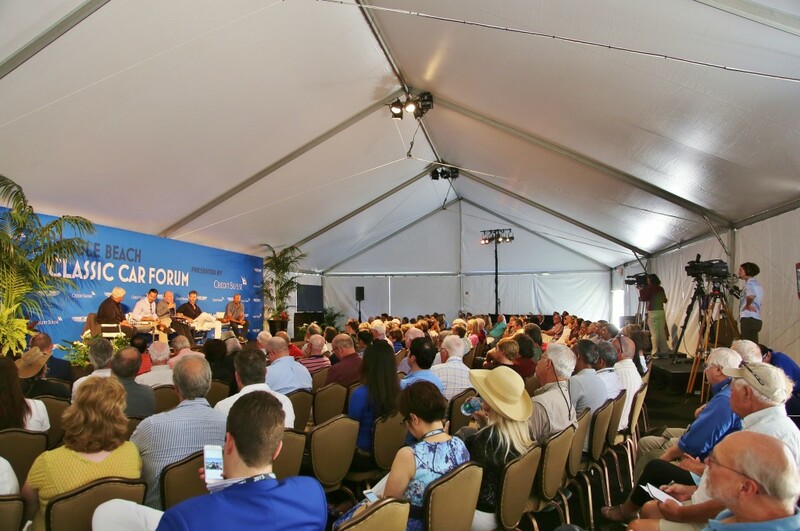 One semi-negative note in the panel addressed the fact that the huge influx of Uber-related transportation, Ride-sharing, Car-sharing and the technologies they are based on, as well as autonomous vehicles, are somewhat anti-design and more utilitarian in nature. The panel also briefly discussed the legal issues of autonomous vehicles and the ethical nature of the choices they may need to make but decided that should be the topic for a completely different session. Continuing with the theme and adding to our increasing knowledge about the world of automotive design, Ian observed that Tesla (Franz) designed the S to look like a conventional car. Franz replied that Tesla “needed to employ a certain early expectation for the masses… people need to feel comfortable with the look of their car…” Franz stated that the company was very happy with the continued positive response to the design of the body and that any upgrades would continue to be in the software of the vehicle for the foreseeable future. Ian decided to get back to the roots of automotive design in one of the last topics by asking his co-panelists if they were still using clay models. Each seemed to agree that you still need to be able to see the vehicle in development and touch it physically in three dimensions, not just on a screen. Due to advances in technology, it sounded like only half the number of clay models are needed compared to previously, but the consensus was that designers will probably always need them, even if they are partially produced through technological means. New devices such as Oculus can be used in the process now, but it was observed that you can’t step back and see an object AND run your hands over the contours. With the new International focus of companies such as Fiat/Chrysler (FCA), Ford and Tesla, rapid developments in Uber-type transportation, Autonomous vehicles and quickly advancing technology, the automotive world is facing many challenges. While there are multiple factors involved in the continued success of established and new brands and models within the automotive industry, it is apparent that one of the most important pieces of the puzzle is an emphatic design element. If carried through the entire program and utilized to the fullest extent, it will contribute greatly to the success of any new or continuing campaign and can seemingly stay with the vehicle throughout its lifetime, if the Ferrari 250GT is any indication. When there are Industry Icons around, you are guaranteed to get some good quotes. Here are my favorites from the Ian Callum Design Panel at the Pebble Beach Classic Car Forum during Monterey Car Week 2015.